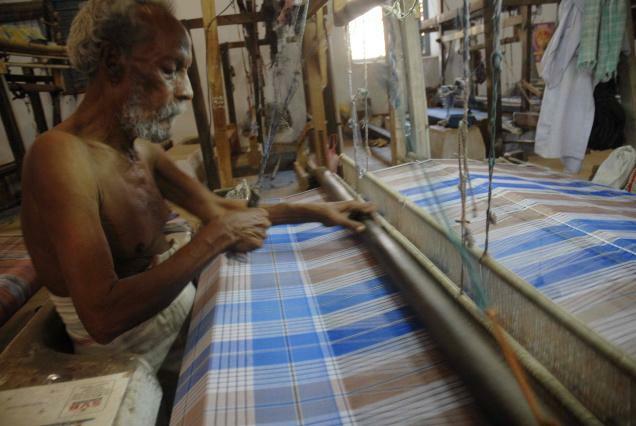 Upon his arrival, the local textile Commissioner Mr. Swaminathan directed him to Captain C.P.Krishnan Nair the proprietor of Leela Scottish Lace Ltd, a textile exporting company from Chennai ( modern day Madras) who presented Jacobson with a fabric that he fell for right away. 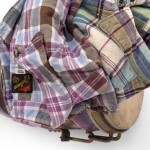 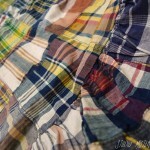 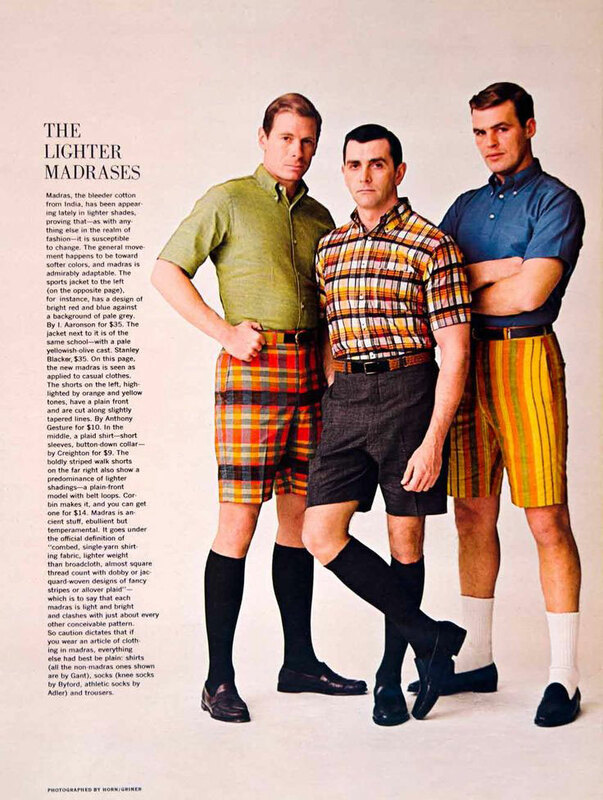 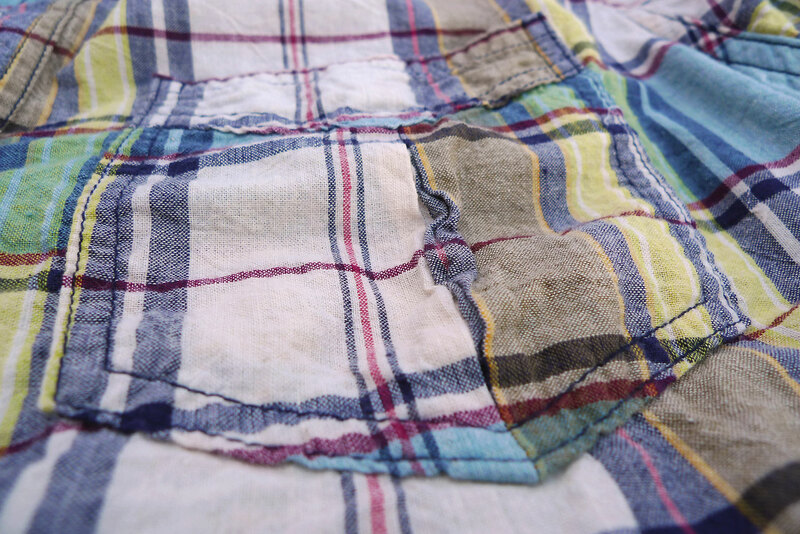 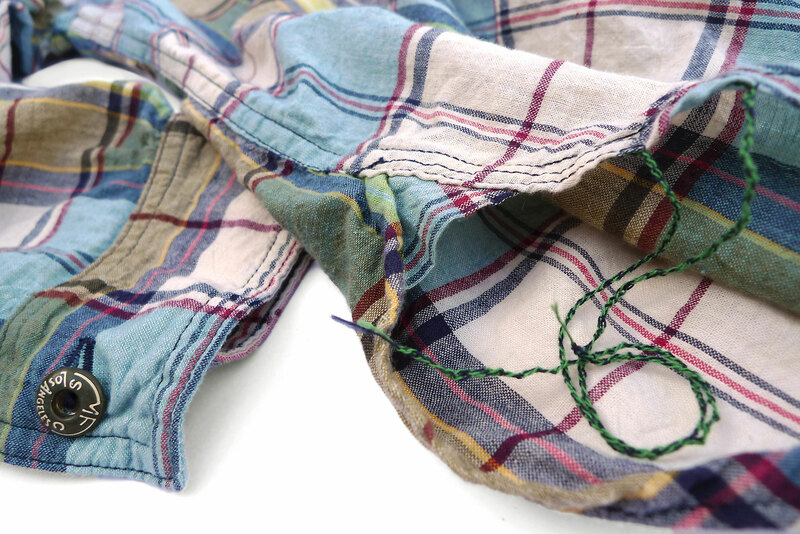 It was a Madras plaid fabric with a strong smell of vegetable dyes and sesame oils that was dyed in vivid colors that was originally made for export to South Africa. 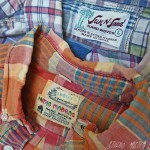 Mr. Nair was delighted to supply Mr. Jacobson with the Madras fabric at $1 per yard, warning him that the fabric required utmost care when laundering because the color would run out if it wasn’t gently washed in cold water. 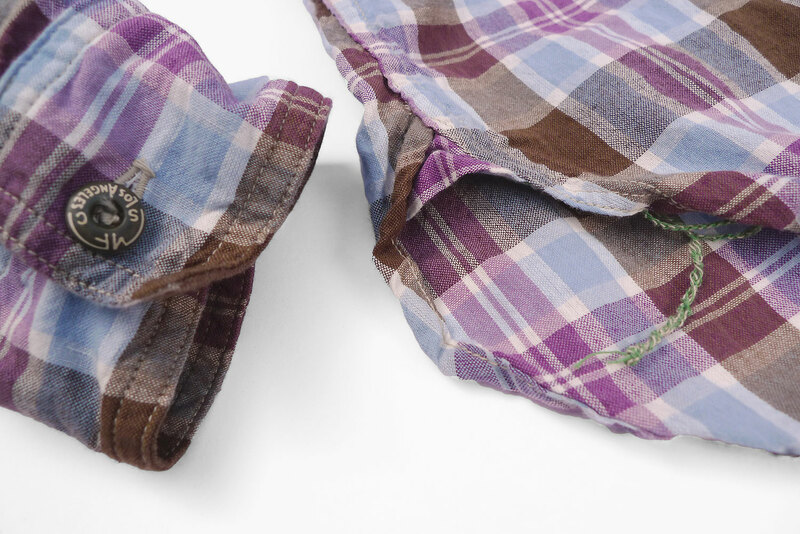 Instead of fighting each other they came up with solution that was sheer marketing genius! 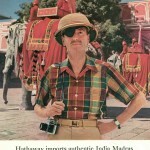 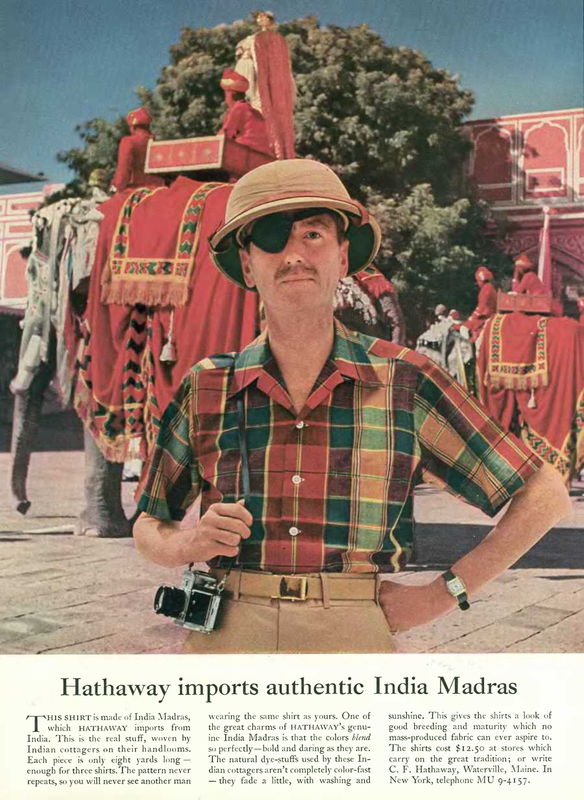 One of the attorneys arranged an interview for Mr. Nair with the editor of Seventeen Magazine in which he created a story about this miracle Madras fabric from India that was exclusively made for Brooks Brothers in New York. 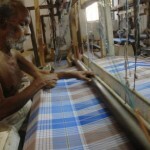 In the following issue, the editor ran a seven-page article about fabric titled “Bleeding Madras — the miracle handwoven fabric from India”. 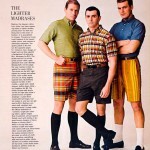 And since pictures say more than 1,000 words, they added beautiful photographs with the caption “guaranteed to bleed”. 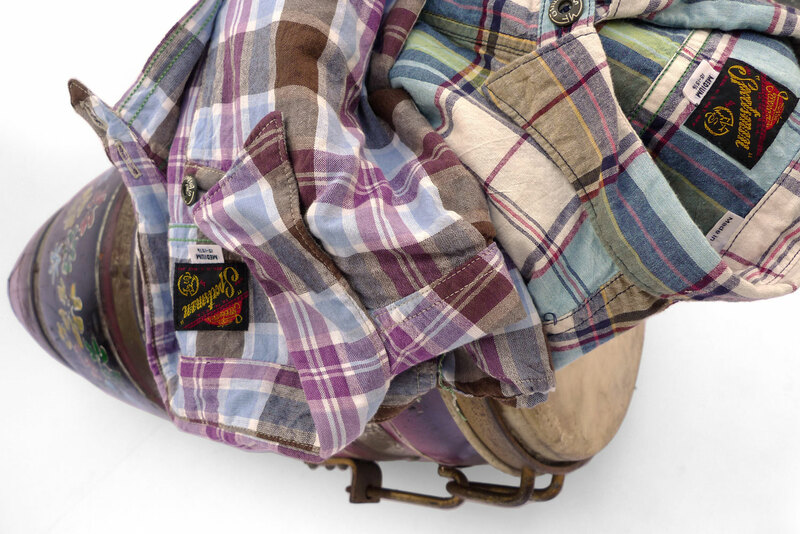 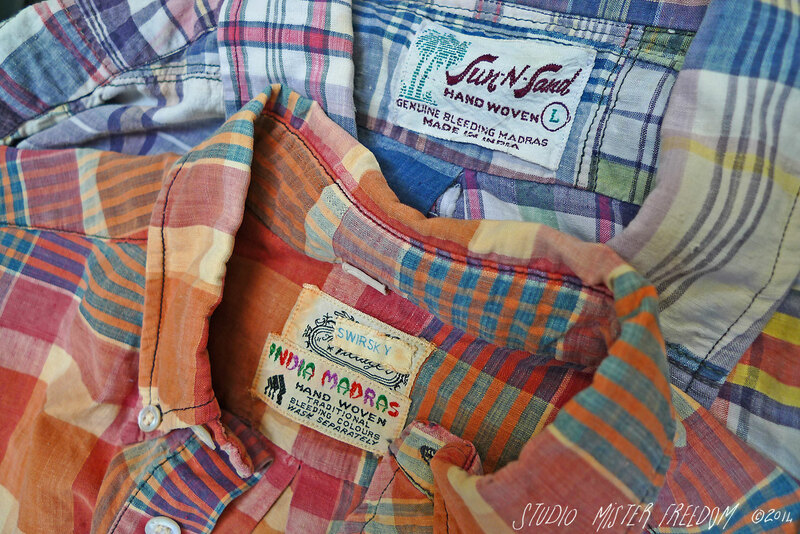 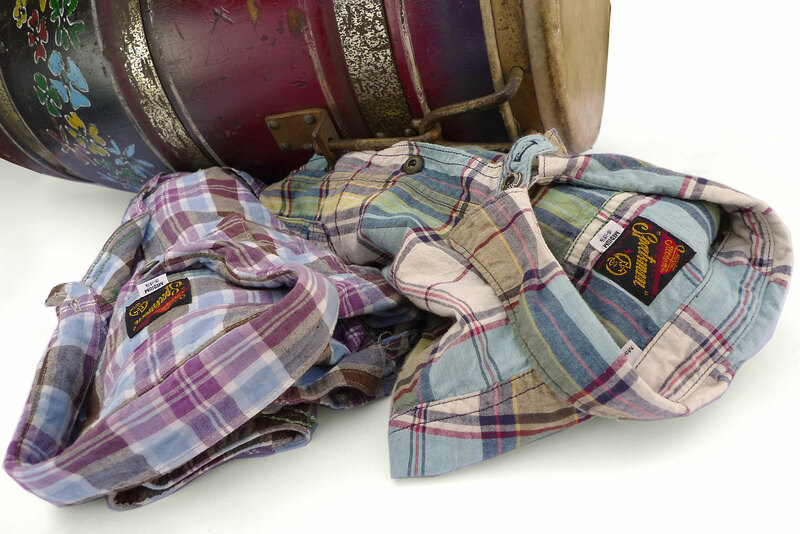 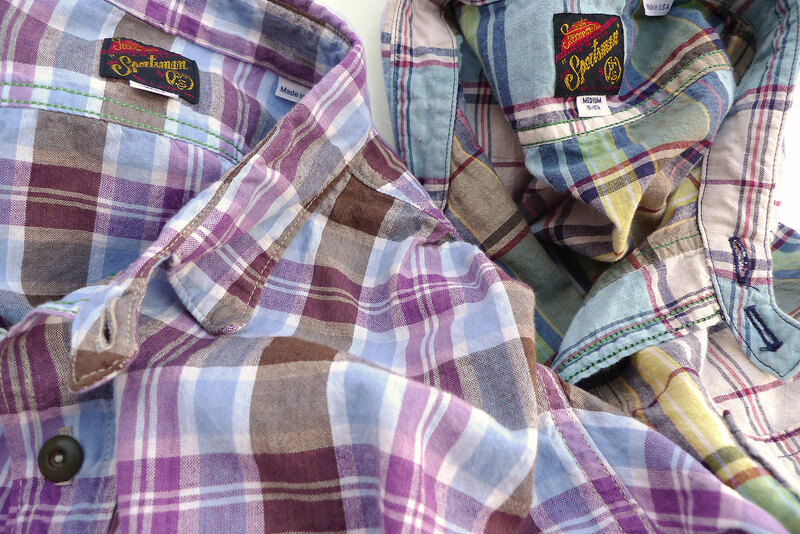 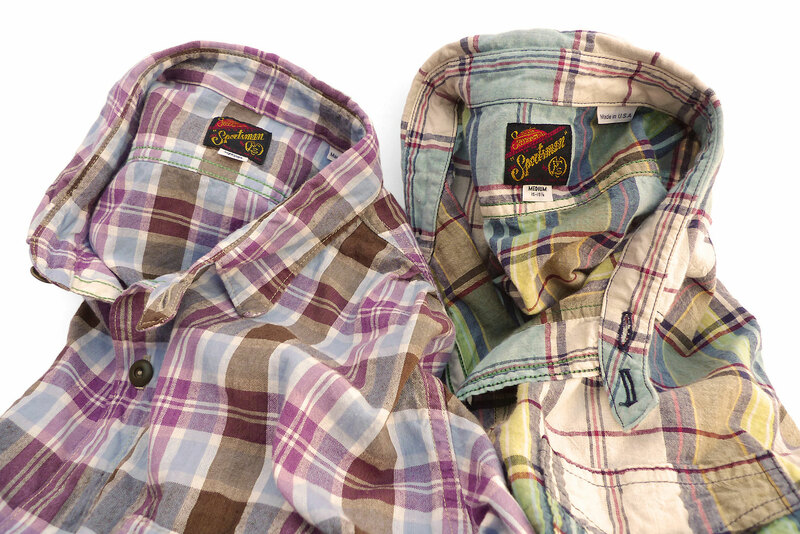 For Spring 2014, we were fortunate to get our hands on two limited runs of genuine Indian Madras. 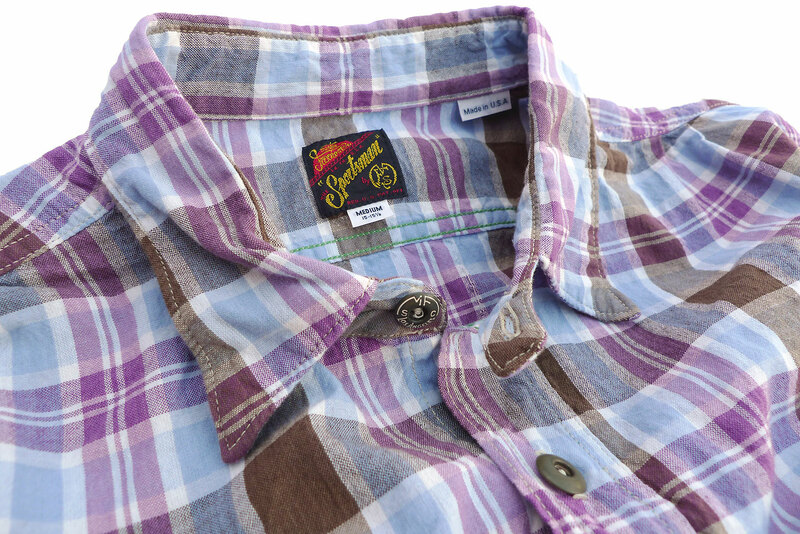 Style wise, the unlikely pairing of a 60’s plaid madras vibe with workwear type shirting sounding like a big no-no, we immediately went for it. 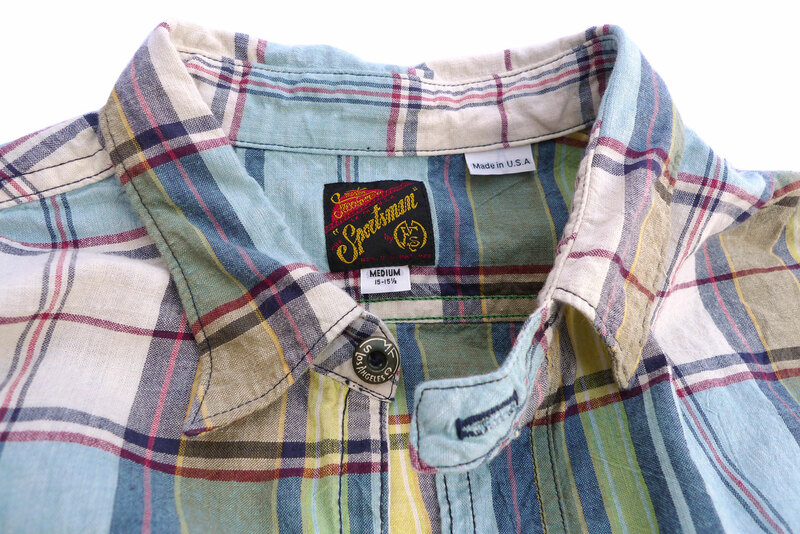 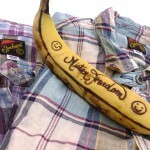 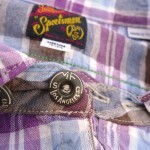 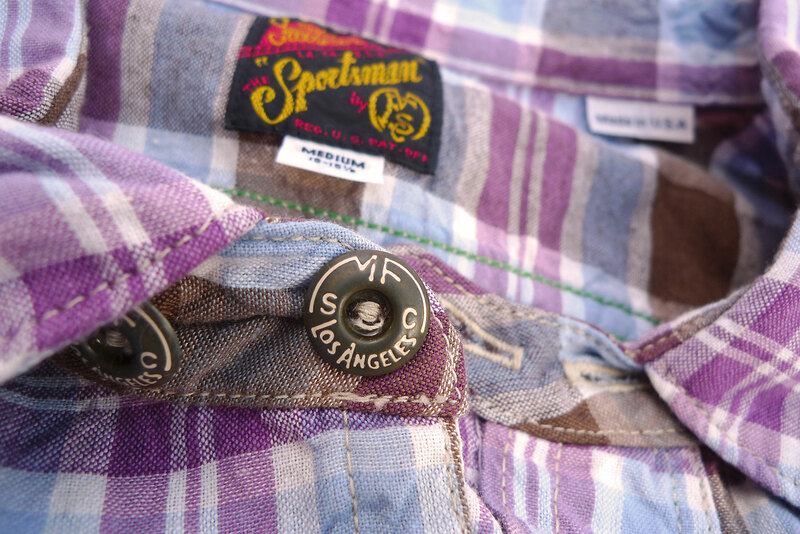 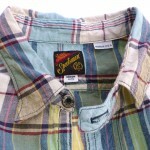 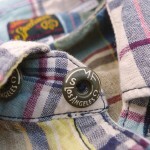 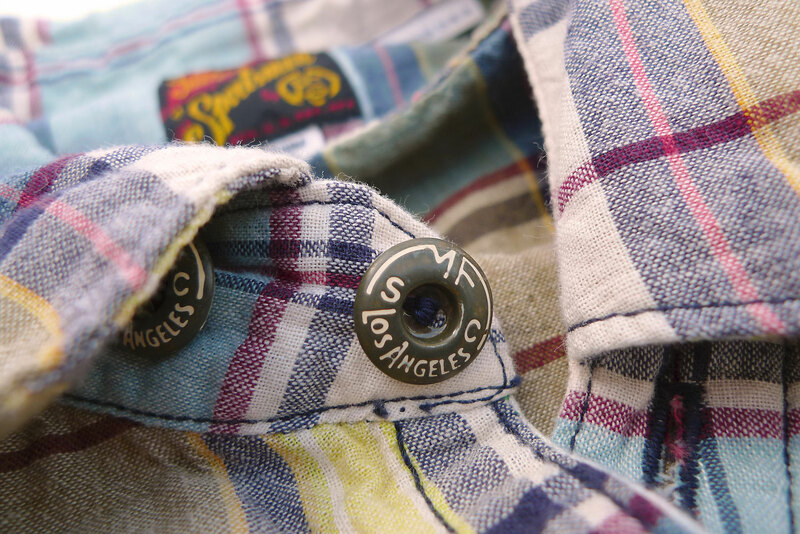 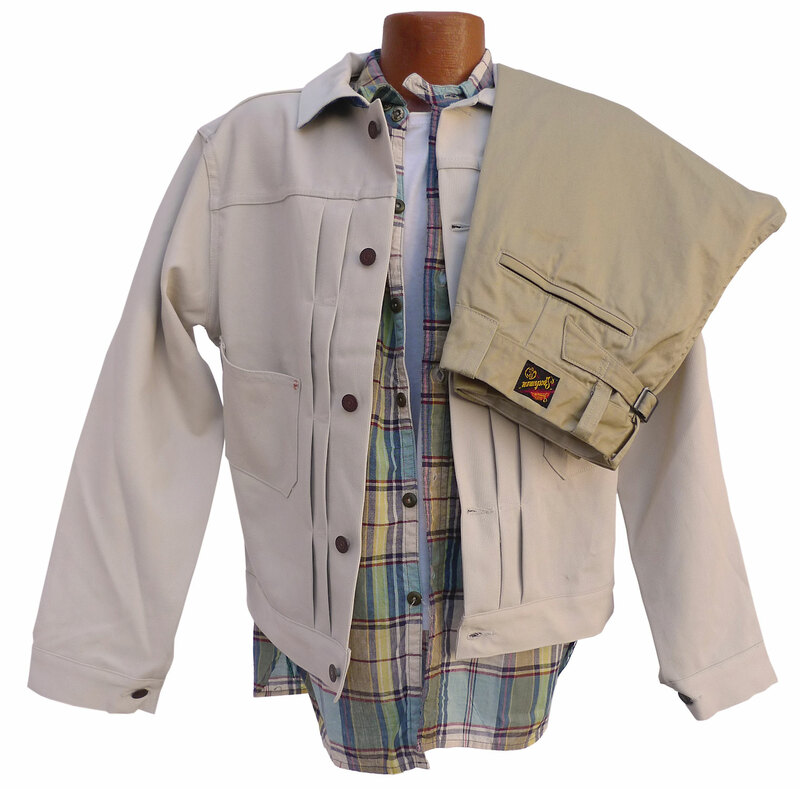 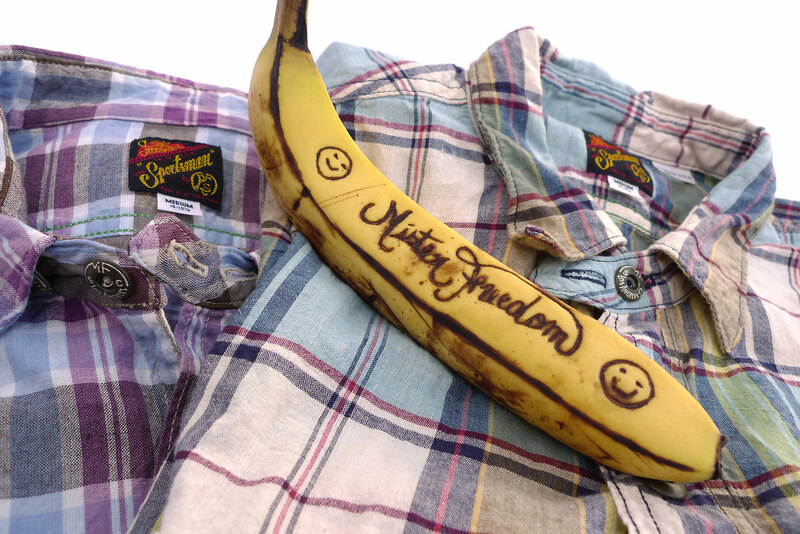 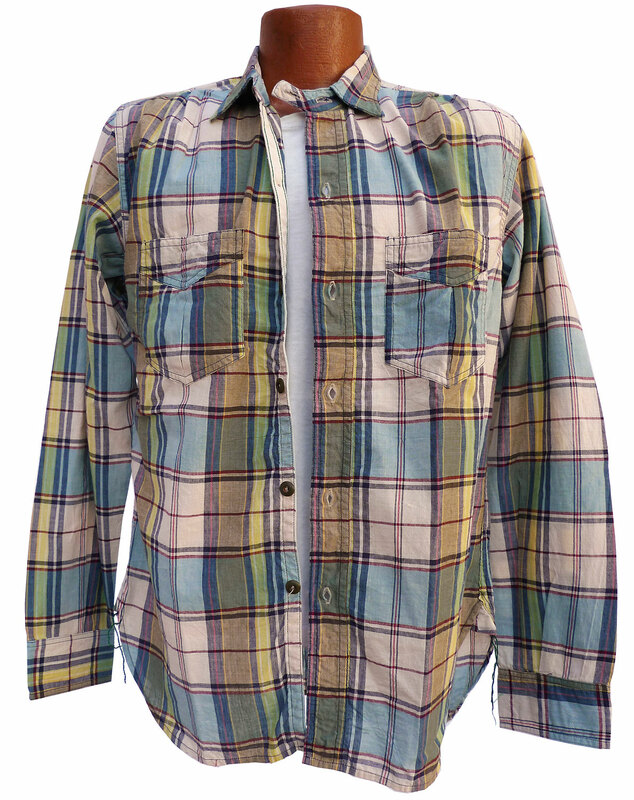 Our Indian Madras Sportsman Shirt is designed and made in California by Mister Freedom®, in collaboration with Sugar Cane Co. Made from genuine imported Indian Madras. 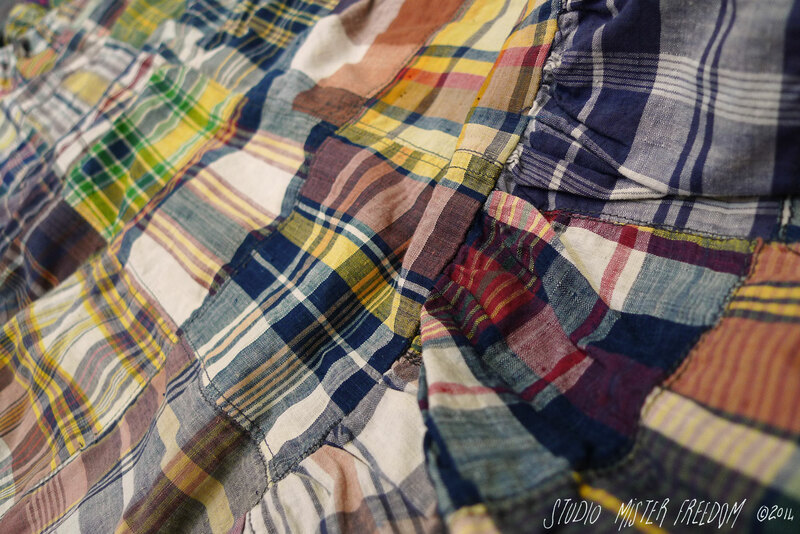 PATTERN: An original MFSC pattern, inspired by our usual vintage influences. 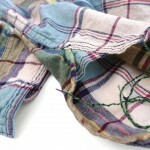 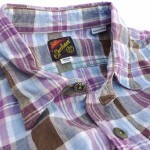 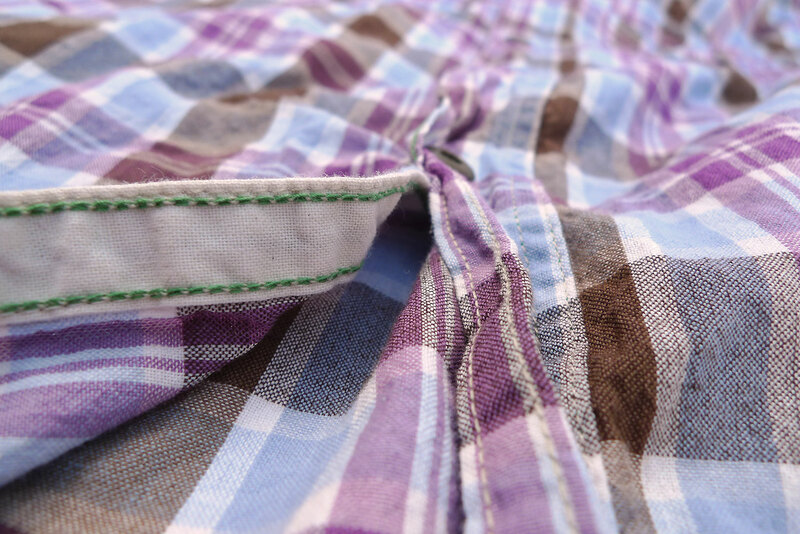 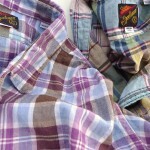 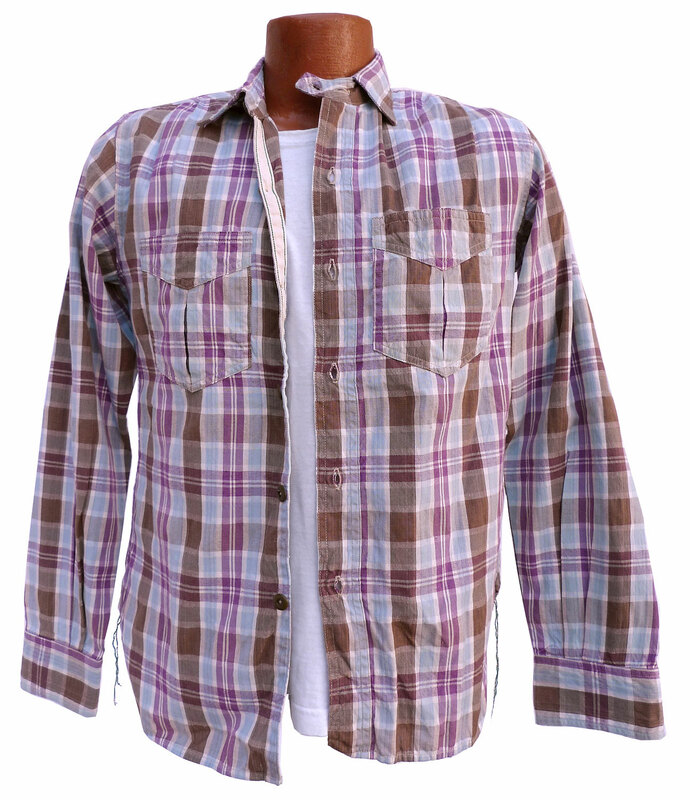 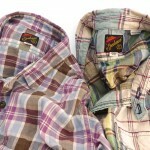 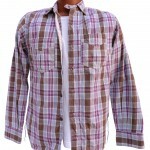 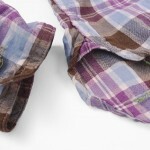 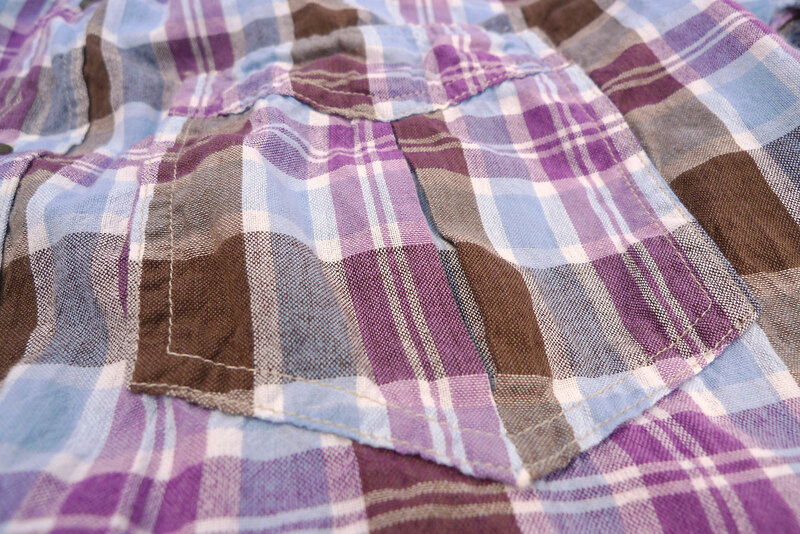 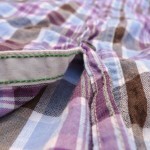 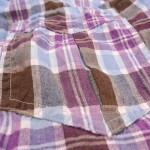 a) Madras ‘Beach‘: 100% cotton woven plaid muslin, with dominant brown/sky blue/washed-out-plum, woven in India. 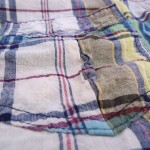 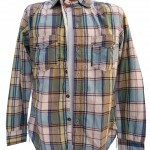 b) Madras ‘Sierra’: 100% cotton woven plaid muslin, with dominant turquoise/white/brown/yellow, woven in India.